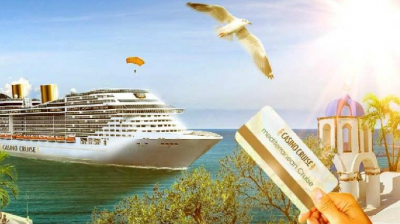 Casino Cruise has been known to offer the extravagant prizes to its players; maybe it’s the reason they took up the name casino cruise as they are always taking you up for cruises all over the world. In the current promotion, they are offering a lucky player two tickets to Dubai that will be worth more than €6,000. This offer will be running from 6th May to 27th May. How to you get to participate? First, you will need to participate in the latest casino slot on offer at Casino Cruise: Ariana. For every €25 that you wager on the slot, you will get two points in the Ariana draw. On the 14th of May and 21st, Casino Cruise will award €500 at random to two players who will be selected at random on each of these days. On May 28th, the grand prize, which is a trip to Dubai, will be offered to another player who will randomly be selected. The grand prize constitutes two return economy flight tickets from London to Dubai, 7 nights in an Ocean deluxe twin room at the Atlantis Palm Hotel in Dubai. One will also be offered an activity or spa package that will be worth more than €600 and the winner will also have €1,000 credited into their Casino Cruise account. If you are a consistent player at Casino Cruise, no doubt you have come across the Ariana slot. It bears 5 reels, 25-paylines and 3 rows. This is a creation of Microgaming and is available on all microgaming’s powered casinos. It has an underwater and whimsical theme. The main focus on the slot is on the mermaid princess; Ariana. While playing the game, you will set on a journey in the kingdom; underwater. You will not be handicapped when it comes to betting on Ariana, you can bet from as low as 25 pennies to £125 for a single spin. In the game, you will come across two main features. There is the full stack symbol which appears on the first reel, as well as, the free spins. The full stack symbol is in the base game and it will expand all the high symbols that match on other reels. These symbols that match will expand when they are part of a winning combination. This free spin feature will be activated when 3 or more of the starfish scatter symbols are landed anywhere on the reels. This action will trigger 15 free spins that can be retriggered during the feature. This is quite an interesting game that Casino Cruise has chosen to reward their players on.